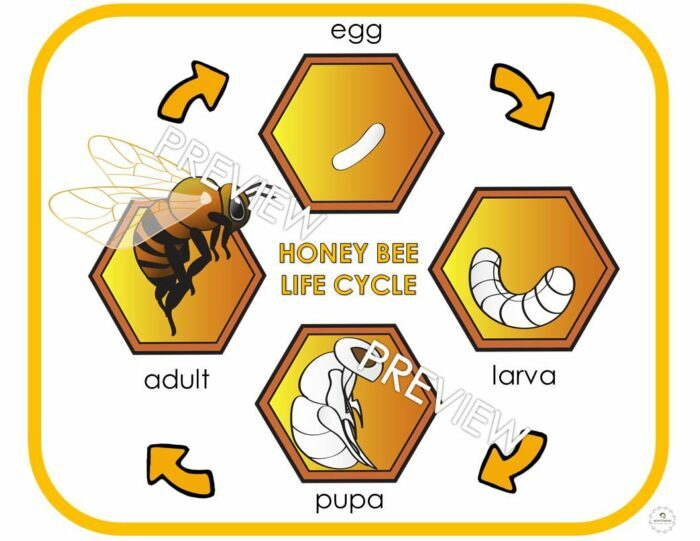 This printable compliments Safari Ltd Safariology the Life Cycle of a Honey Bee figurines. 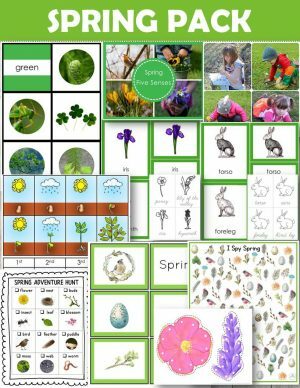 student printouts for coloring and practicing handwriting in cursive, print and a worksheet for independent writing. 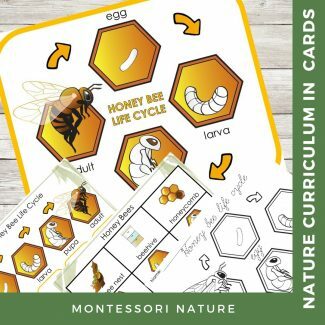 Honey Bee 3-part cards. Words included in the set: wild bee nest, beehive, honeycomb, egg, larva, pupa, worker bee, drone bee, queen bee. 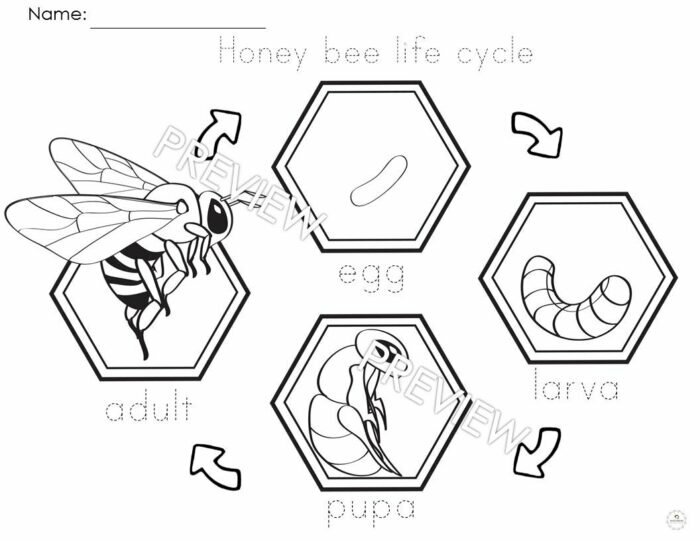 This printable complements Safari Ltd Safariology the Life Cycle of a Honey Bee figurines.